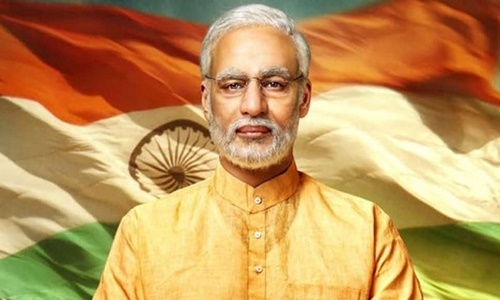 The CJI-led bench of the Supreme Court has directed the Election Commission of India to watch the biopic on Prime Minister Narendra Modi and report back to Court in sealed cover by this Friday as to whether its screening can be allowed during election time. The matter will be heard next on April 22. The producers of the movie have approached the SC against the order passed by ECI last Thursday stalling the screening of the film during election time. Senior Advocate Mukul Rohatgi appearing for the producers argued that the ECI imposed the ban without watching the movie. In the order, the ECI said that it was exercising its powers under Article 324 of the Constitution of India to stall the movie's release, observing that "that any biopic material in the nature of biography/hagiography sub serving the purposes of any political entity or any individual entity connected to it, which is intended to, or which has potential to disturb the level playing field during the elections, should not be displayed in electronic media including cinematograph during the operation of model code of conduct". The commission observed that such movies, though may not fall under the category of "advertisement" strictly and may remain outside the purview of MCMC certification requirement, 'political contents' poses a serious threat to the level playing field as it may create an impression of truthfulness of such content being shown through Television/Cinema/Internet based entertainment programs/ social media. And therefore, it is in the larger interest of ensuring the level playing field and conduct of free and fair elections that such political content ought to be regulated during the election period to prevent violation of Model Code of Conduct, the commission said. Earlier, the SC had dismissed a petition seeking stay of its released, observing that that whether the film will tilt the electoral balance in favour of any political party is a question of fact that can be addressed only by the Election Commission of India.